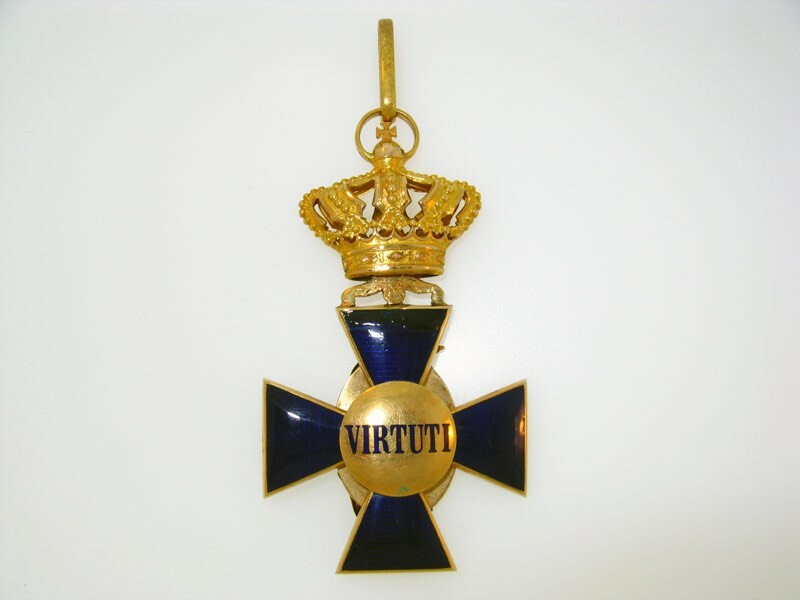 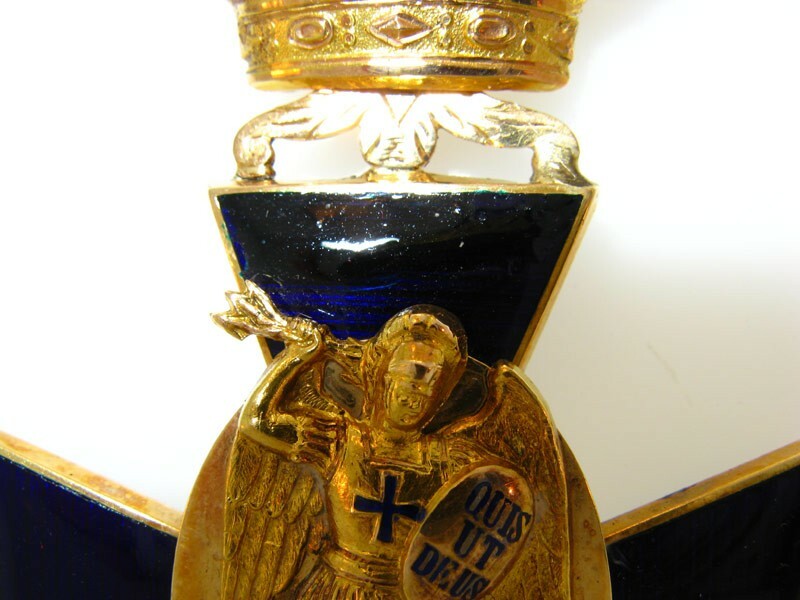 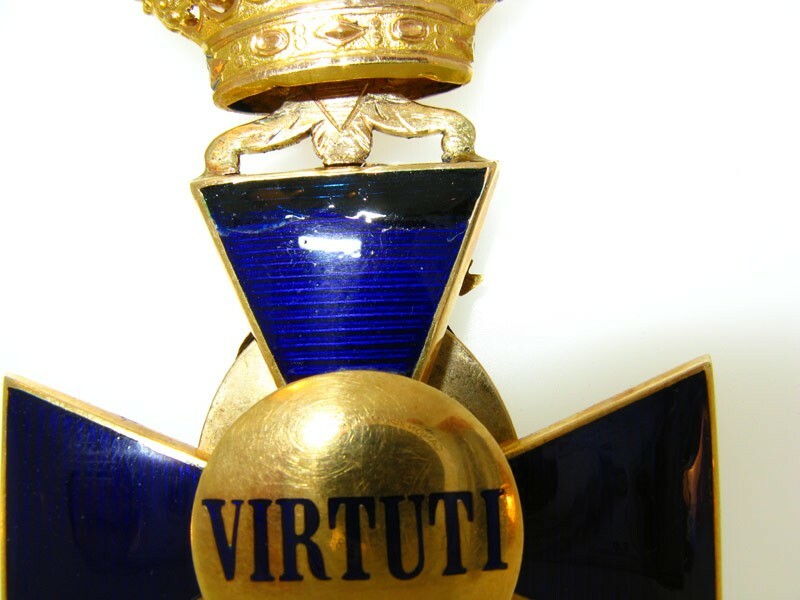 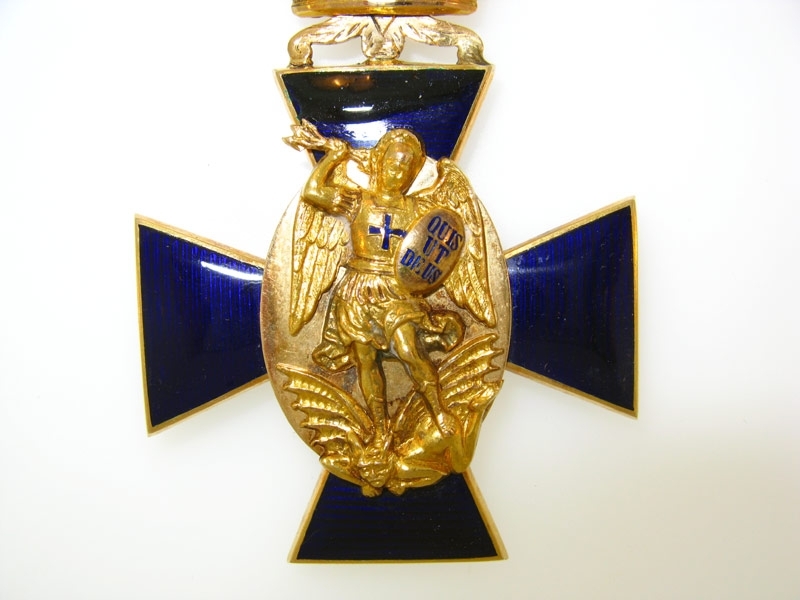 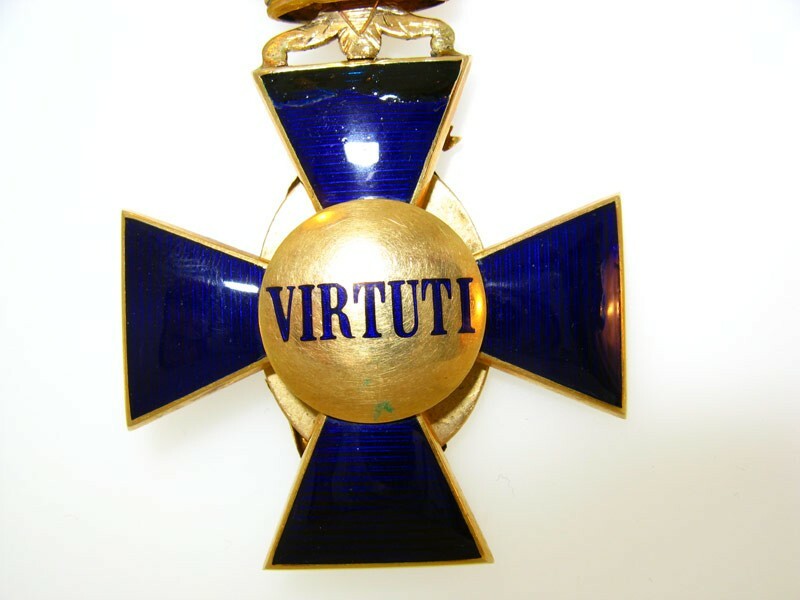 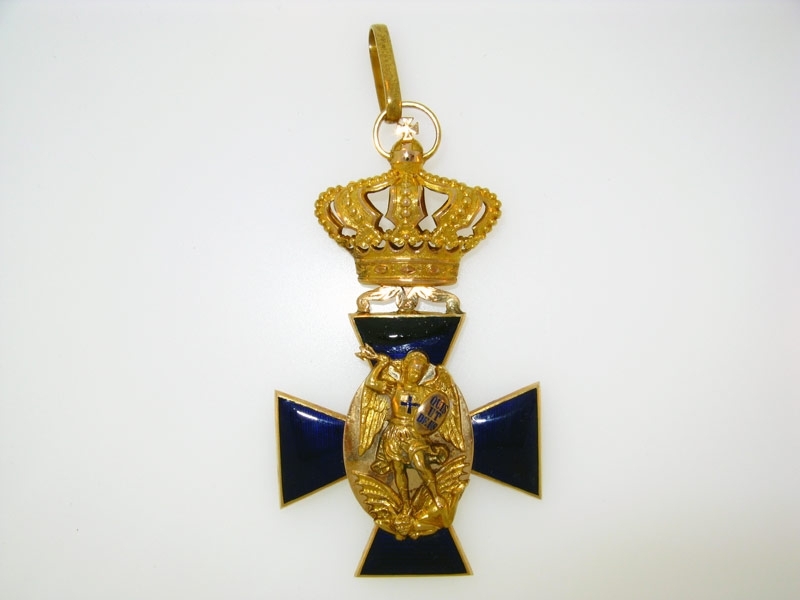 Second Class cross, in Gold and enamels, 47.7x83mm (crown 33x30mm), weighs 28.6 grams, unmarked, of fine quality make, however upper arm re-enameled on obverse and reverse, and suspension between cross and the crown shows signs of repair. 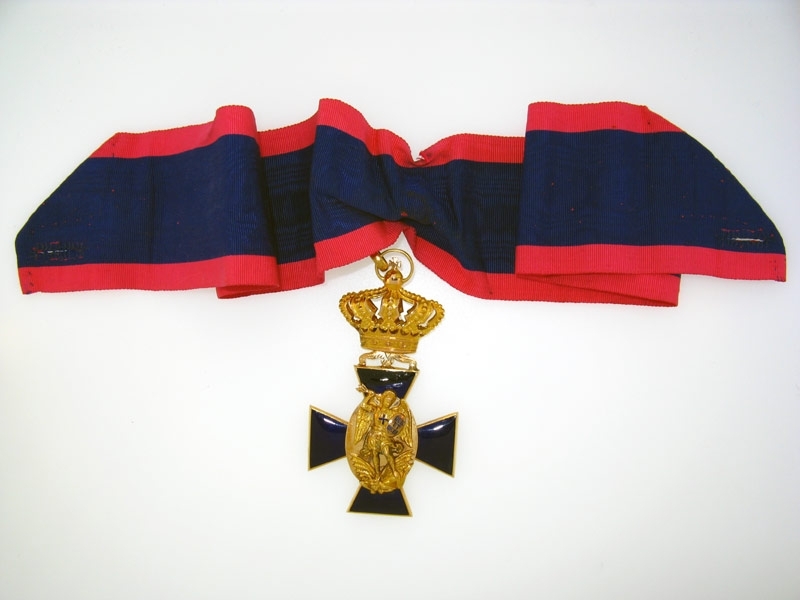 Cross comes with full length of original old ribbon, as worn. 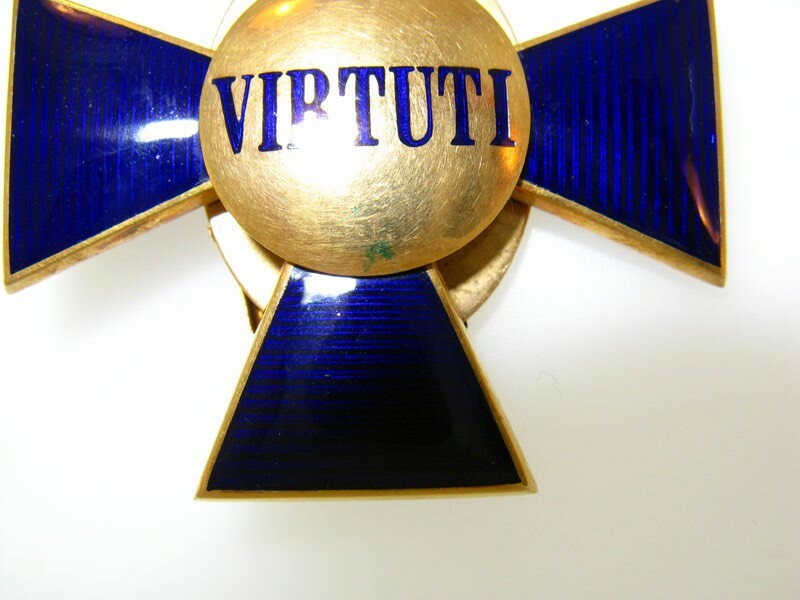 Still attractive and very scarce.